Jim Lytell Marble and Stone Restoration has offered Naples Granite Polishing solutions since 1969. Our technicians are licensed for marble, tile, and terrazzo. They are equipped with the latest equipment and supplies. 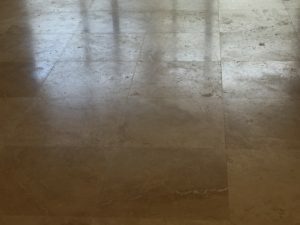 Jim Lytell Marble and Stone Restoration can bring Naples Stone Floor Polishing to any space from small residences to large commercial properties. Regardless of the size or complexity of the project, we never compromise on service or quality. The Jim Lytell team is committed to providing the best of Naples Marble Cleaning to our customers. Jim Lytell has been active in the flooring industry since 1956. He and his team work with a wide variety of materials and applications. He has been located in southwest Florida since 1969. Jim Lytell has worked with European marble grinding professionals in Italy. He travels to industry events as far as Brazil to remain at the forefront of marble and stone restoration knowledge. Our over 4,000 clients include RSW international airport in Fort Myers, many Port Royal homes, and spaces from small condos to large commercial properties. Jim Lytell Marble and Stone Restoration has been part of the Marble Institute of America since 1996. We are also members of the Building Stone Institute. Posted in by Bill Lees.